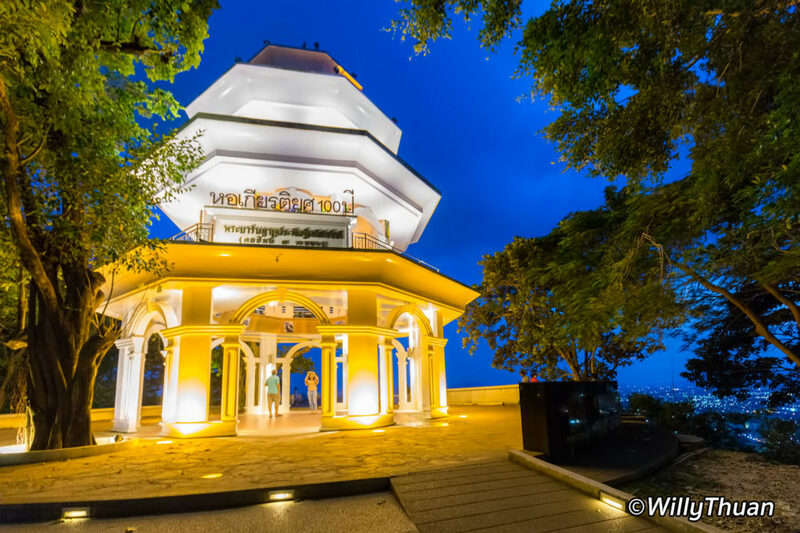 Where to Eat on Khao Rang Viewpoint? What to Do at Rang Hill Viewpoint? Where is Khao Rang Viewpoint? 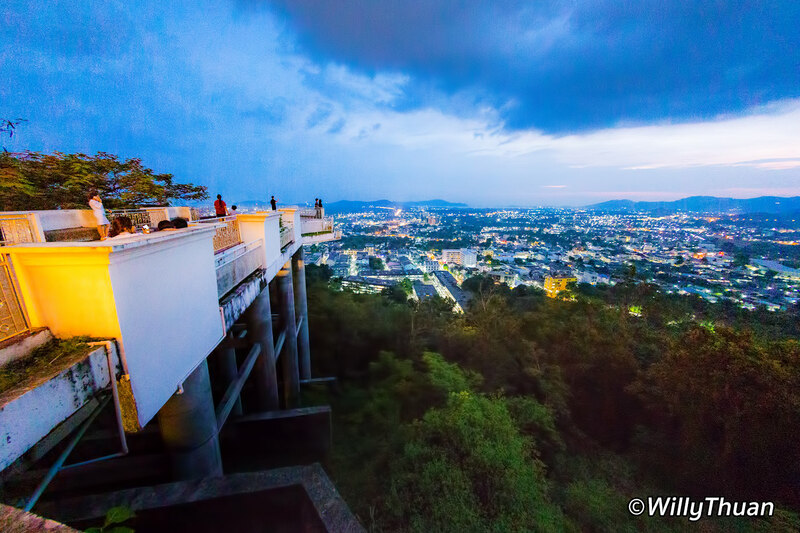 Khao Rang Hill has always been a viewpoint at the top of a popular hill in Phuket town. It’s not strikingly beautiful but it’s a pleasant stop, and a lot of youngsters go there for a selfie and a romantic moment. In recent years they added a Gazebo and a platform to allow visitors to enjoy a better view over Phuket Town and the sea beyond. 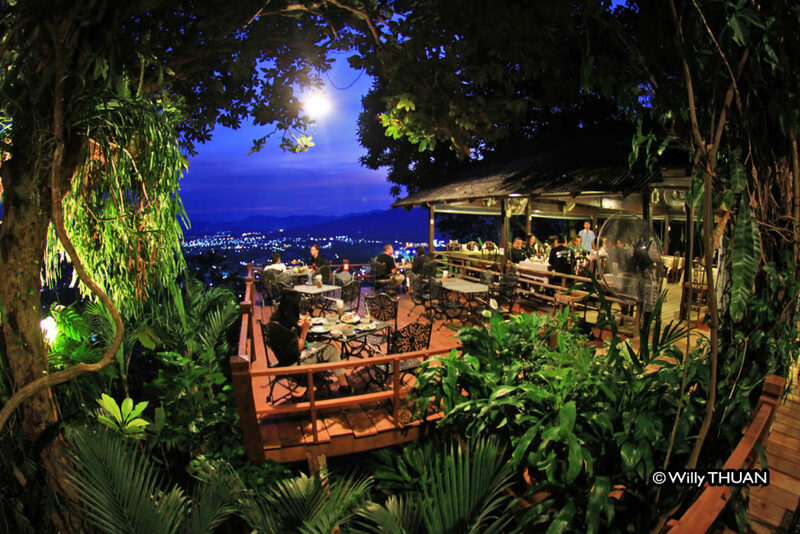 Three panoramic restaurants add some reasons to drive up there for a lunch or a dinner with a view: Tunk Ka Cafe, Khao Rang Breeze and Phuket View. Our preference, the quality of the food and overall experience rank in this order. 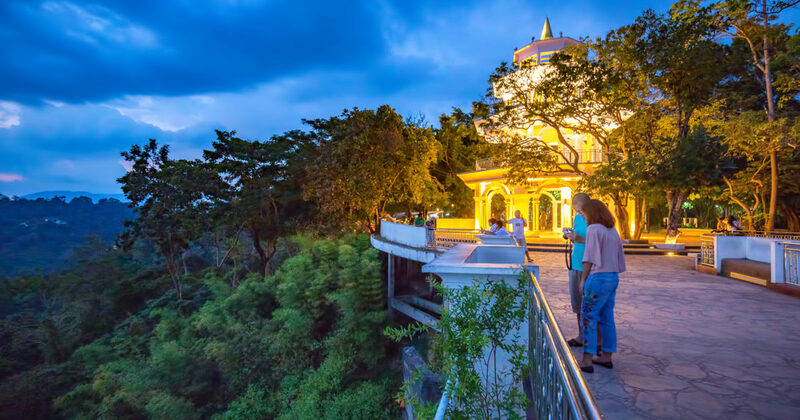 Tunk Ka Cafe and it’s green surrounding has always been one of our favourites. 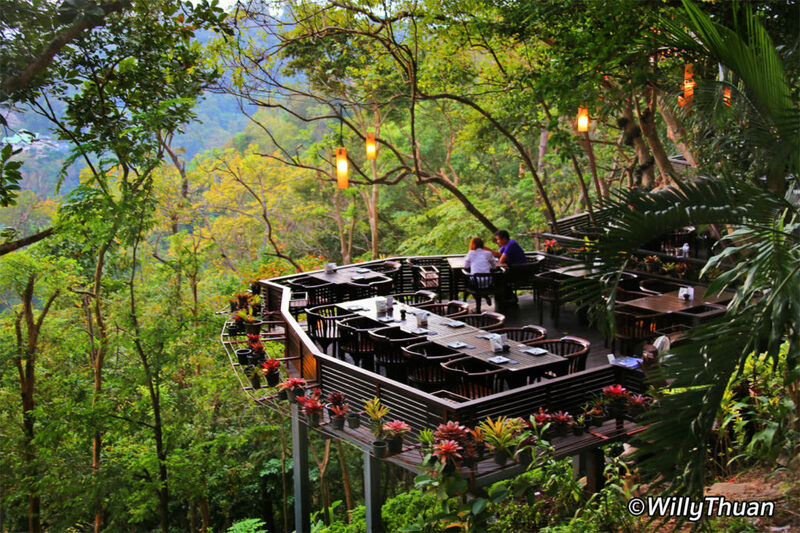 It was a modest restaurant 20 years ago, but it got busy quite fast and started to expand, adding more wooden terraces between the trees. Tunk Ka restaurant they even added their own ‘panoramic platform’ for guests to walk around and get beautiful sunset photos. 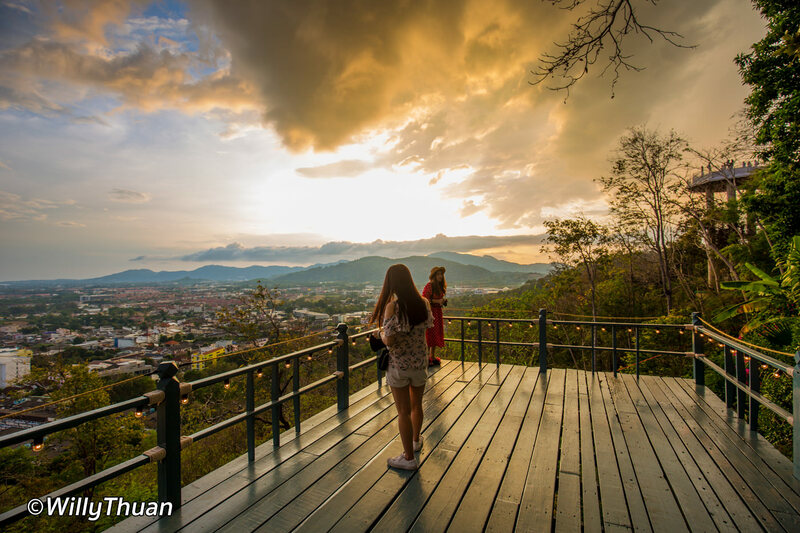 You might not travel a long way to visit Rang Hill Viewpoint, but if you happen to be around Phuket Town, you can make a stop before going back to your beach resort. Parking is usually not too difficult, and it’s not unusual to see monkeys. 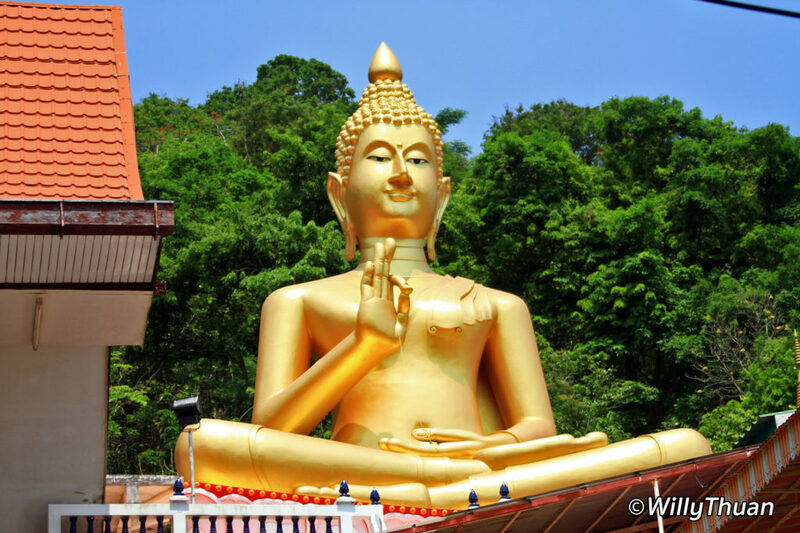 Don’t miss the giant golden sitting Buddha of Wat Khao Rang on the way down.